I have extracted the following article on New Jersey Friends’ Meetings from the weekly journal, The Friend. This publication serially ran the text of this historical account in several issues during 1889, but listed no author. To illustrate many of the meetings discussed, I have interspersed historic post card and photographic views. Nota Bene: while the text below provides some interesting reading, the author fails to discuss Friends Meetings in Gloucester, Salem, and Cumberland counties. The history and early settlement of the Society of Friends in New Jersey and Pennsylvania, and the establishment of their meetings, is so intimately connected with both Provinces, that it is not easy to separate them, although that of New Jersey preceded the latter by several years. The first settlement made by Friends south of Long Island was at Shrewsbury, in 1664, or thereabout. One account says, “About 1670 a meeting was settled at Shrewsbury, being the first settled meeting in these Provinces. Near the same time a Monthly and General Meeting was also held there, and they were soon regularly established. It is probable that meetings for worship were held at private dwellings prior to this date. ﻿﻿﻿The first meeting-house was built in 1672, which was replaced by another in 1719. The first settlement of Friends in West New Jersey, was undoubtedly that made by John Fenwicks colony at Salem, in 1675; theirs being the first English ship to come so far up the Delaware River, or that landed passengers upon its shores. 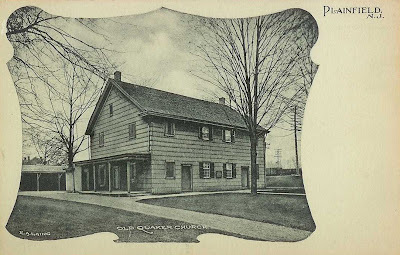 They first held their meetings for worship at each others’ dwellings, and a meeting was established at the house of Samuel Nicholson, which was continued for some years; they sometimes joined with a few Friends at Upland, (now Chester, Pa.,) meeting at the house of Robert Wade, at or near that place. 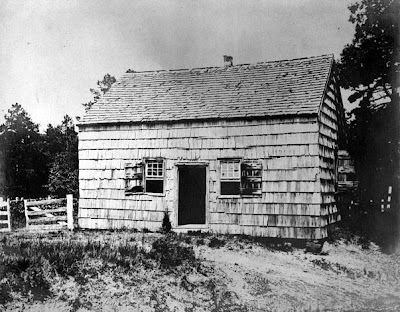 The first meeting-house of Friends in West Jersey was at Salem. 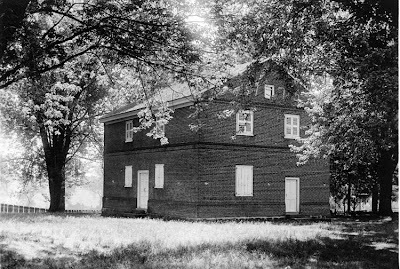 In 1681, Samuel Nicholson and Ann his wife, conveyed to the Trustees of Salem Meeting his sixteen acre lot, whereon stood his dwelling-house, for the purpose of a meeting place for Friends; an addition was built to this house, making it when completed, 40 feet in length by 16 feet in depth,—partly of brick, and partly frame,—it was provided with a large open fire-place at each end, windows with 4 panes of thick “bulls eye” glass, 7 by 9 inches in size, benches or forms without backs, and “a good clay floor.” It was thus used until about the year 1700. In the early part of the year 1677, many Friends who had become proprietors in West Jersey, left the shores of old England to settle on their newly acquired possessions. The Commissioners who were on board, and were also Friends, proceeded up the river to the place where the city of Burlington now stands, in order to treat with the Indians about the land; for, be it known, that not one foot of the soil of the State of New Jersey was ever taken from the Indians, except by purchase. The number of Friends who emigrated to the new colony during this year and the following one, are said to be about 800; and up to the year 1681, at least 1400 persons had found their way to the Province. Although the country was a wilderness, they did not forget the assembling of themselves together as was their wont in the land of their nativity, in order to worship the Almighty, whose protecting hand had followed them in the perils of the deep, and now delivered them from the savage people among whom their lot was cast. The first account that we have of a place of public worship of Friends at Burlington, was of a tent made of the sails taken from the ship in which they had crossed the ocean. Under it they assembled for at least a year after their arrival, or until the house of Thomas Gardiner was built, which was the first dwelling house erected within the town limits, and although built of logs, it was more commodious than those of his neighbors. Meetings were regularly held here, and at the house of John Woolston and others, until the building of the meeting-house in 1685, when the meeting had outgrown the capacity of any private house. 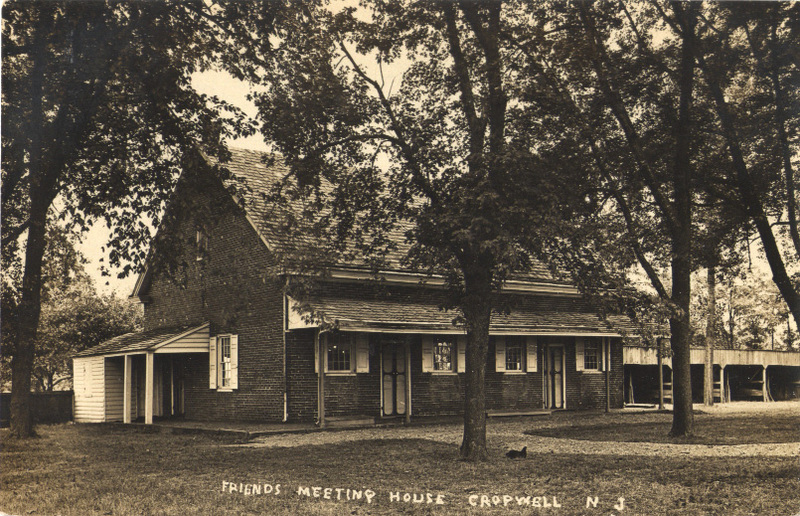 The first Yearly Meeting of Friends in New Jersey which sat four days, was held Sixth Mo. 28th, 1681, at the house of Thomas Gardiner, aforesaid, as was also the Monthly Meeting. By a minute of that meeting, held 5th of Twelfth Month, 1682, we find “It is ordered that a meeting-house be built according to a draught of six square building, of forty foot square from out to out.” This building was completed in 1685, and was called the “great meeting-house,” which must have been very singular in appearance, being as indicated, hexagonal in form, with a roof of steep pitch, surmounted by a sort of cupola, corresponding in shape with the main building. It was a frame structure, and found to be too cold for use in the severe winters to which the settlers were subjected. In 1696, an addition was made to it for a winter house, built of brick, 30 feet long, and of equal width and height with the other; provided with a large open fire place, and a “double wooden floor,” wainscoted and plastered walls. This house stood for a century, and was replaced by the present substantial brick structure. The house known as the “new meeting-house” was built for the better accommodation of the Yearly Meeting, in 1716, on ground given by Thomas Wetherill for that purpose. Burlington Monthly Meeting was first organized “ye 15th of ye Fifth Month, 1678,” and consisted of “Friends settled about the Falls (near Trenton, &c.,) and the Particular Meetings of Ancocas, Shackamaxon and Upland (Chester, Pa.); also the Hoarkills and New Castle, Del.,” and the Friends on Long Island, who, in 1681, desired to be considered members of this Monthly Meeting. In 1680, it issued an epistle to London Yearly Meeting, on the subject of certificates being furnished to the Friends who emigrated, &c. It was the first official communication received by that meeting from any body of Friends in America. “Meetings for worship on First and Fourth-days, were also settled at Northampton, to be held at the house of Thomas Harding,” &c, as is shown by the following minutes of Burlington Monthly Meeting. “It is agreed that the meetings on Ancocas (or Ankokas) be held at the house of Thomas Harding.”—1681. “The meeting that used to be kept at Thomas Cline’s, and John Woolman’s, is now ordered to be kept at Daniel Wills’ house, weekly.”—1687. In 1703, a meeting-house was built upon ground given by John Wills, called Northampton Meeting-house; the meetings before alluded to were then discontinued. This house, which stood quite near the present burial ground, was replaced by another upon nearly the same site, in 1722, which continued until the new brick house was erected in 1772, about half a mile north of it, which was enlarged as it now stands in the village of Rancocas. 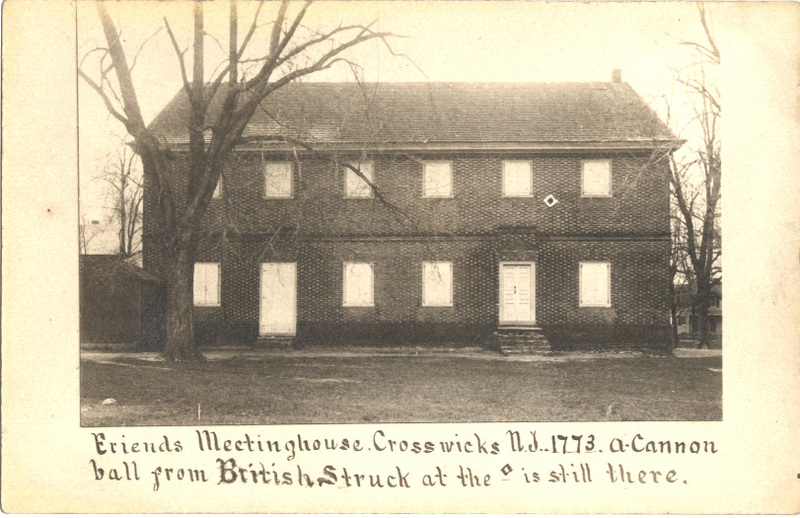 The meeting-house at Crosswicks was built in 1692, and the first Monthly Meeting held in it 6th of Eighth Month, 1693. Meetings were held here until 1706, at which time a new and more commodious house was erected near the former one. This house was of brick, and enlarged in 1753. Another account says, “About 1738-9, it was found desirable to have a larger meetinghouse, and a large brick building was built upon land given by Samuel Bunting; this house was enlarged in 1773.” This building was occupied as barracks by the American troops in 1778, and a cannon-ball was lodged in its walls. On First-days, however, the benches were arranged and meetings held in it as usual. In 1831, a frame meeting-house was built near this, which was occupied until 1853, when a brick structure succeeded it. The meeting-house was built in 1698, on ground given by Richard Ridgway. 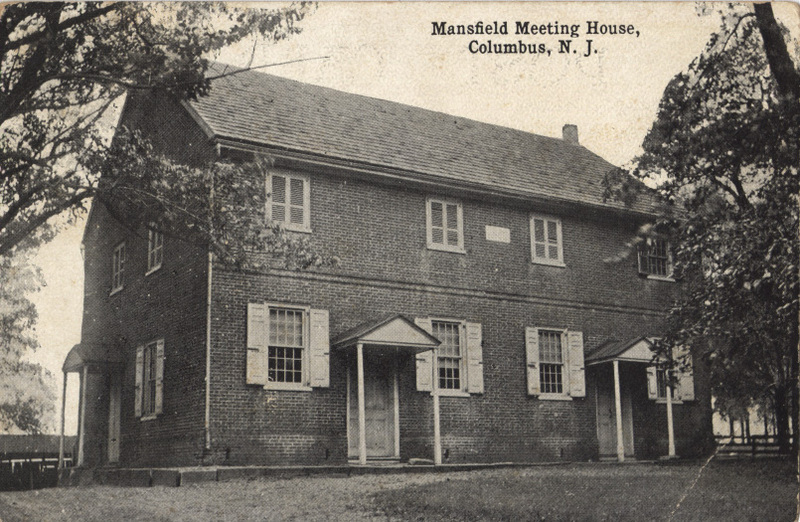 1731.—Mansfield Meeting was settled in 1731, and a meeting-house built the same year on ground of Francis Gibbs. It was a long narrow frame building, and was replaced by a more modern brick structure, upon the same site, in 1812. 1753.—A meeting was allowed to be held near William Folwell’s on First-days, once in three weeks during the winter. In 1783, it was established with the privilege of a Preparative Meeting. 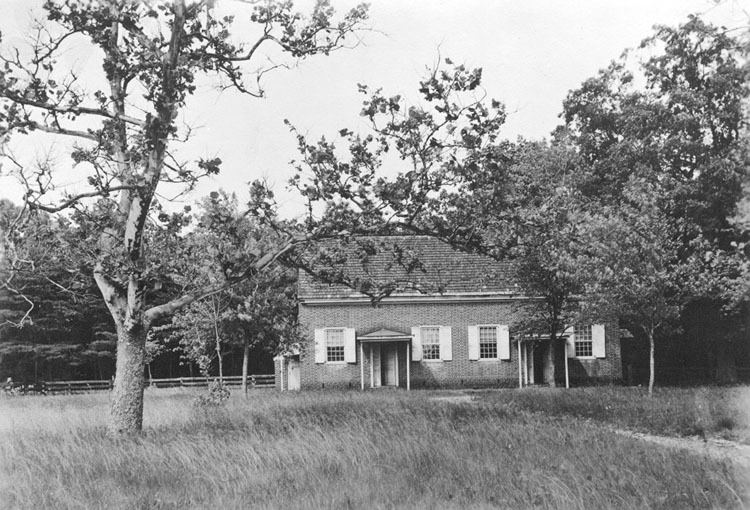 “A meeting for the winter season hath been for several years past, held in part of Upper Springfield, at a house provided for the purpose, nigh Shreeve’s Mount.” In 1728, the meeting of Upper Springfield was established, and their meeting-house built the same year upon ground of Joshua Shreeve. In 1783, the Monthly Meeting was organized, being parts of Burlington and Chesterfield Monthly Meetings, and was composed of the Meetings of Mansfield, Arneytown, Upper Freehold and Upper Springfield. In 1704, a Meeting was settled at Restow Lipincoats (Restore Lippincott’s) to be held for the winter season, which was discontinued as the following minute of Burlington Monthly Meeting shows. 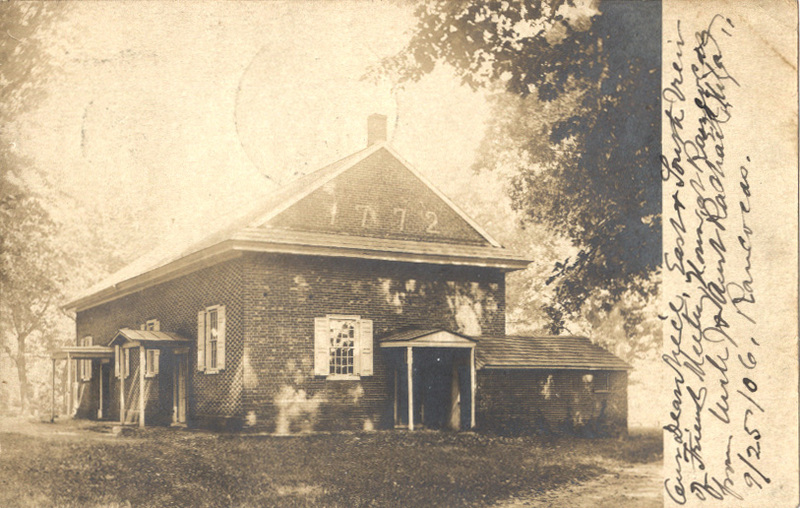 The Mount Holly meeting-house was built upon ground given by Nathan Cripps, on the northern slope of the mount, and on the site of the Cemetery on Wood Lane. It was standing in 1776, and used by the British troops as a stable. 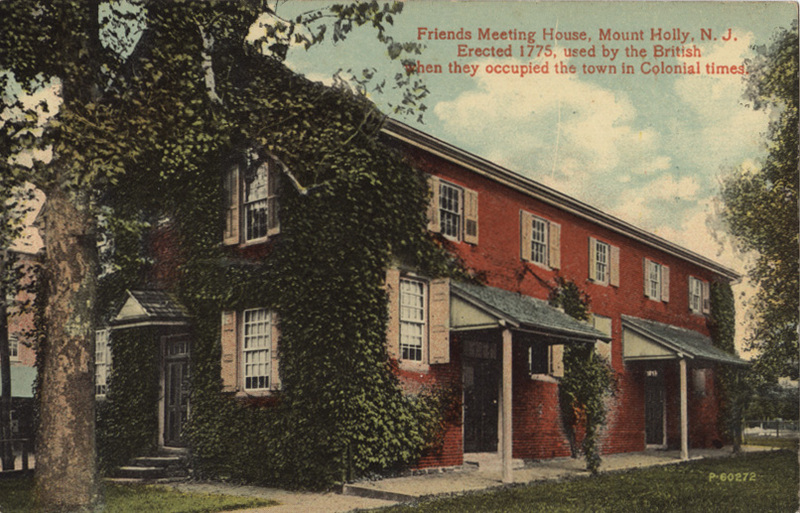 In 1762, a new meeting-house was built in the more central part of the town, for an afternoon meeting. It was used by the British during the Revolutionary war, as the head-quarters of their Commissary department, and the benches for cutting meat upon; the hacks and marks of both cleaver and knife are still to be seen upon them, as well as the marks of the British musket barrels upon the floor. 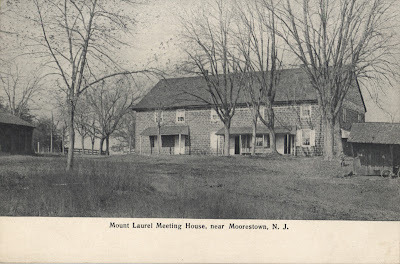 Mount Holly Monthly Meeting was constituted in 1776, by a division of Burlington Monthly Meeting, and was composed of the Meetings of Mount Holly, Shreeve’s Mount, Old Springfield and Upper Springfield. A meeting was afterwards established at Vincent Town, and a meeting-house built; but the meeting has been discontinued some years. 1710.—This was a meeting indulged by Chesterfield Monthly Meeting, to be held once in three months, and it was afterwards at the house of Joseph Worth and others. 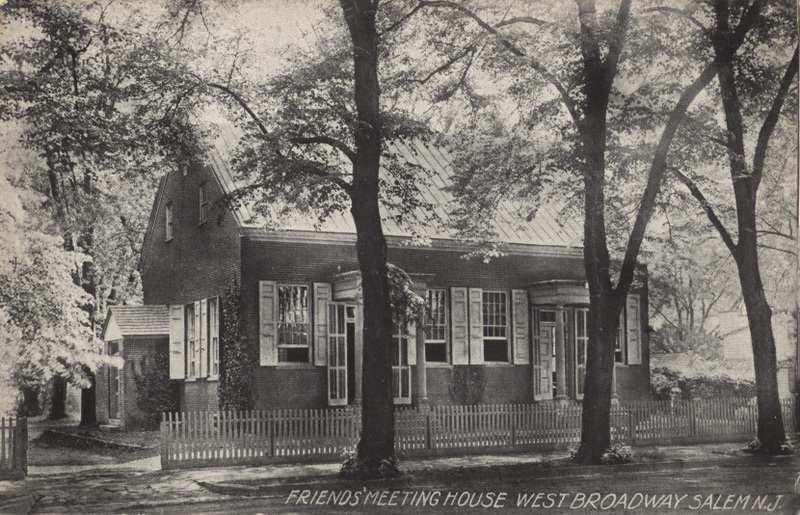 In 1726, the meeting-house was built on ground given by Benjamin Clark for the use of Friends, and the Meeting was established there the same year. The Preparative Meeting was laid down in 1878, and the members joined to Trenton Meeting. 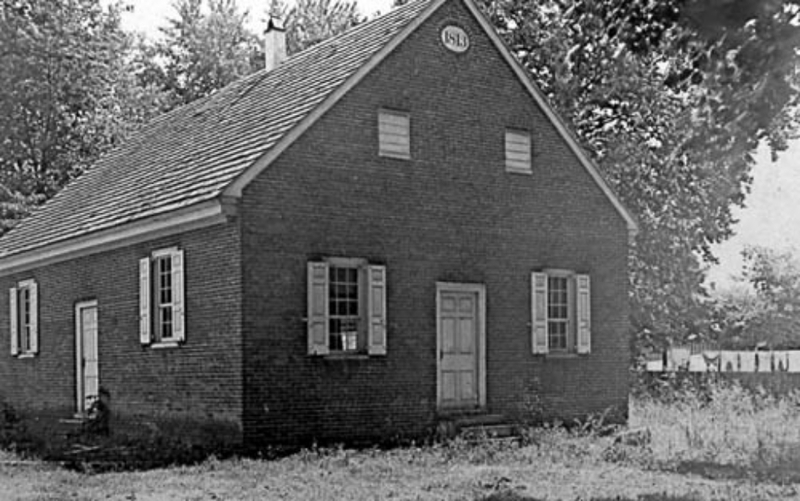 1734.—We find the following minute of Chesterfield Monthly Meeting: “Our Friend Isaac Hannam, with other Friends, requested liberty to keep a meeting for worship at Trent Town on First-days,” which was granted. 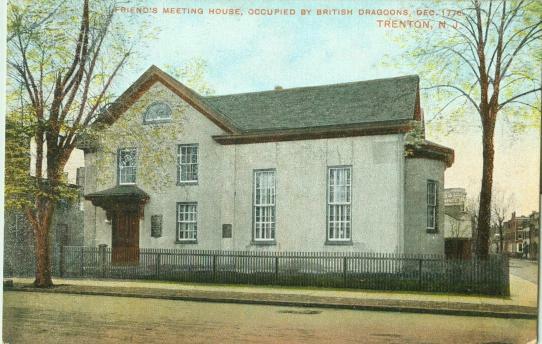 In 1740, the meeting-house at Trenton was built, and a meeting for worship settled there. The week-day meetings were established in 1756, and the Preparative Meeting opened in 1786, but was closed for some time, and re-opened in 1797, and again laid down in 1836, and reestablished in 1848. 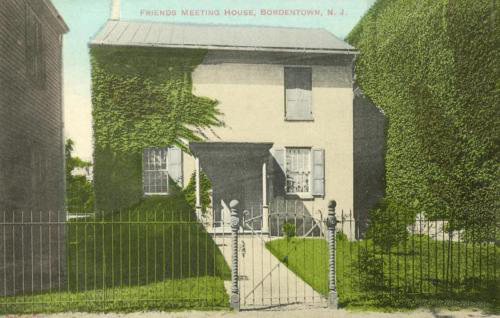 The Meeting at “Bordens Town” was settled in 1740, and a meeting-house built the same year on ground given by Joseph Borden. The week-day meetings were established in 1759, and the Preparative Meeting set up in 1804. In 1727, a meeting was allowed to be kept every First-day, at the house of John Stephenson, at Amwell, which appears to have been discontinued in 1786. About this time (1727) there was also a meeting held at Allentown, under the direction of Chesterfield Monthly Meeting. 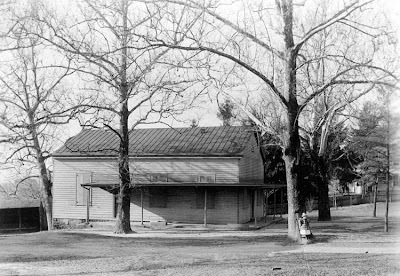 The Preparative was opened in 1797, and called “Robins’ Meeting.” In 1804, it appears in the Minutes of the Monthly Meeting as “East Branch.” It was laid down in 1833, and the members joined to Crosswicks Meeting. 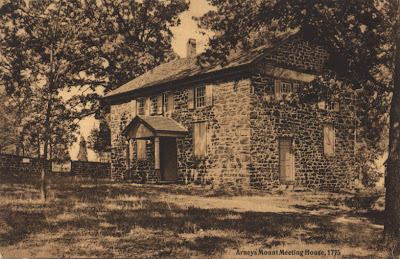 The Meeting at “Woodward’s,” held at Joseph Arney’s house was settled in 1742, and the meeting-house built the same year on ground given by Joseph Arney. 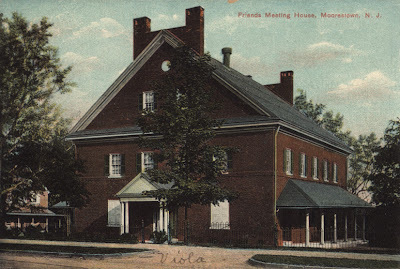 In 1746, the meeting-house at Bethlehem was built, but a meeting for worship was settled there some years before, and the Monthly Meeting was first held in 1744. 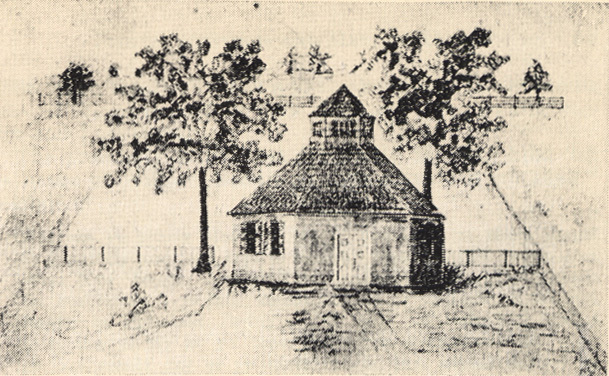 The meeting-house being accidentally burned; it was rebuilt in 1752. The meeting-house at the Great Meadows was built in 1751; but their meetings for worship were held at each others’ houses from the time of Friends first settling there, about 1740. A meeting for worship was held at Amboy from 1680 to 1689, during which time a Monthly Meeting was established there. 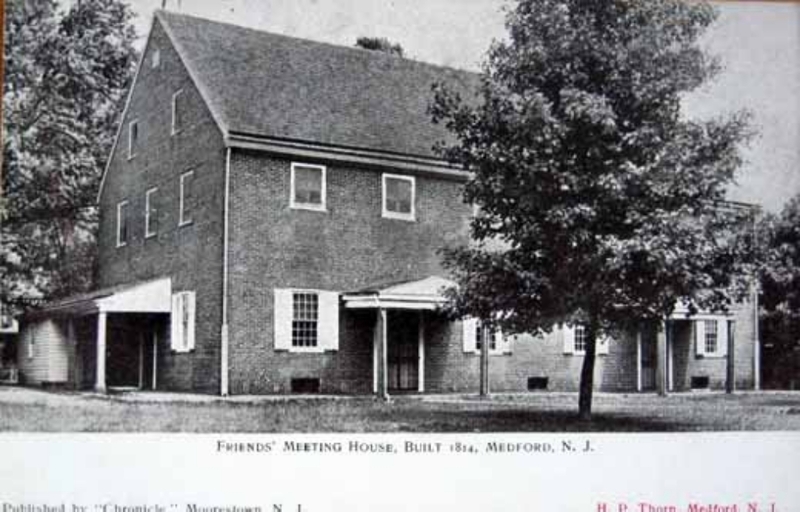 A meeting was held at Woodbridge, and alternated with that at Amboy, every third First-day, until 1704, when, by direction of the General Meeting at Shrewsbury, it was ordered to be held at Woodbridge, where the meeting-house was built in 1709. 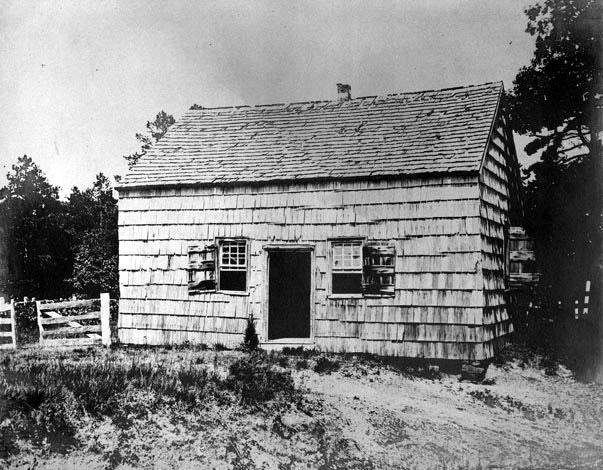 A Meeting was early settled at Manasquan; Friends met at each others’ houses until 1730, when their meeting-house was built: it was of frame with shingled sides, and stood until about 1885. A meeting-house was built at Freehold about the year 1683; but the meeting being chiefly established through the influence of George Keith, who then resided there, by the same influence it ceased upon his defection from Friends. 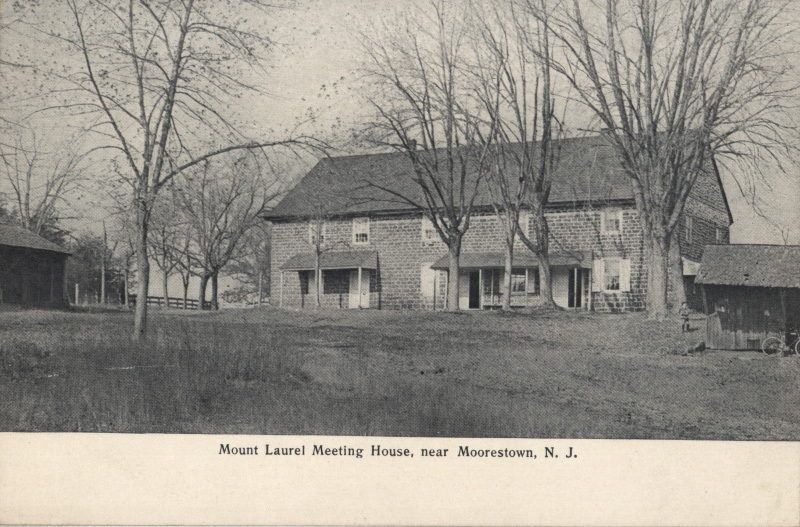 In 1721, John Laing of Plainfield, on behalf of himself and the Friends settled near him, requested leave of the Monthly Meeting of Woodbridge to hold a meeting for worship among themselves at his house, which was granted them for three months. In 1725 they had liberty to hold a meeting weekly, which was thence continued till 1731, when they built their meeting-house on land given by the said John Laing. 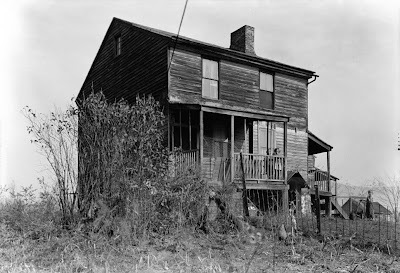 “Said house not to exceed 24 foot square and 14 foot between joynts.” Which was occupied until 1788, when the house was replaced by another, which is still standing. About 1750, the Monthly Meeting was transferred from Woodbridge, and held alternately at Rahway and Plainfield. 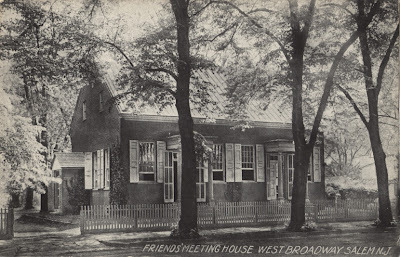 Meetings were held at Rahway, at the house of William Robertson, in 1707, and in 1742 at the request of Friends of Rahway, leave was given by the said Monthly Meeting (Woodbridge) to hold a meeting for worship on the first days of the week, at the house of Joseph Shotwell, for three months in the year, which was continued till 1745, when it was ordered that a meeting should be held on First and Fourth-days for the winter season. In 1714, the Preparative Meeting was opened, and in 1715, the Monthly Meeting was established. 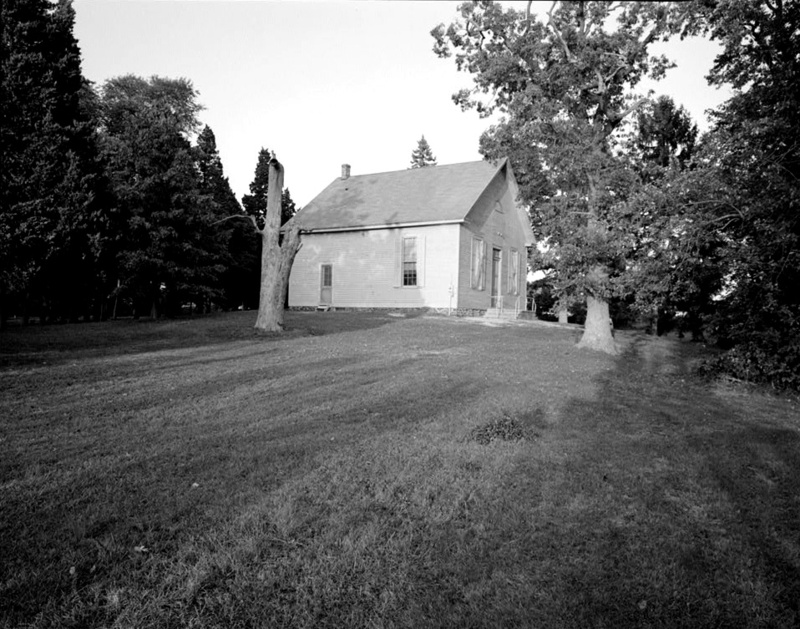 The Yearly Meeting was first held there in 1729, and continued for some years. John Churchman, in his journal, speaks of attending it in 1772, where he says there was a large concourse of people. 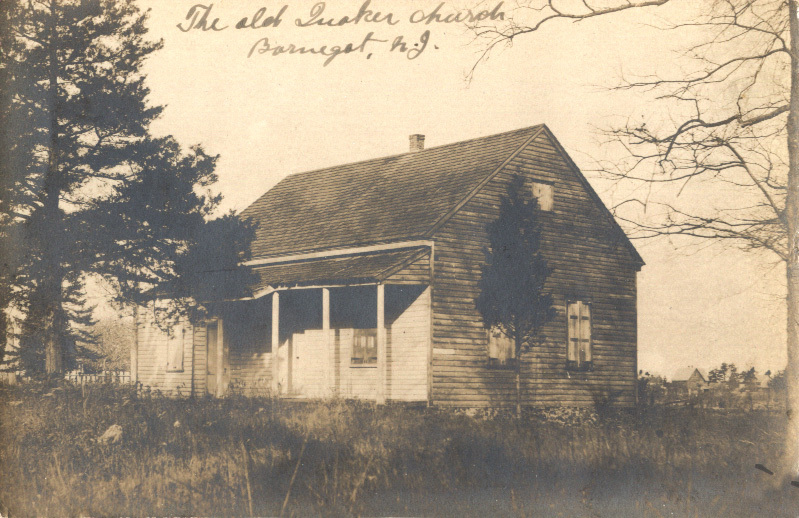 A Meeting was settled at Barnegat in 1767, and a meeting-house built the same year. 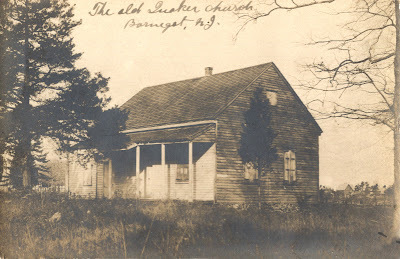 At an early date Friends built a meetinghouse in Bass River Neck. Burlington Quarterly Meeting was established Ninth Month 29th, 1681-2. The first meeting was held at the house of William Biddle at “Mount Hope” on the Delaware River, opposite Biddle’s Island, and near what is now Kinkora. It continued to be held there until 1712, when it was removed to Burlington, and after a few years held alternately at Burlington and Chesterfield (now Crosswicks). In time it was settled permanently at Burlington. 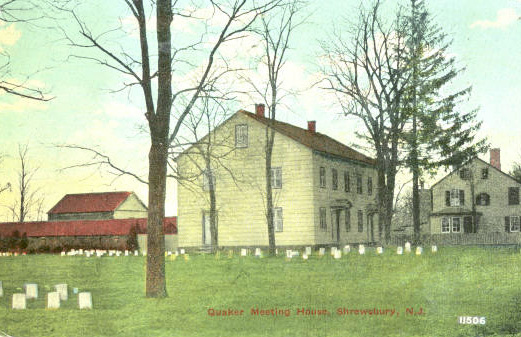 In 1681-2, Shrewsbury Monthly Meeting, which had previously belonged to Long Island, was annexed to Burlington Quarter. In 1681, a number of Friends settled on Newton Creek, in Gloucester County, near Arwamus, or what has since become Gloucester City. In 1682, there was a meeting set up, and kept at the house of Mark Newbie, on Newton Creek, which soon increased so much that a meetinghouse (of logs) was built in 1684. In 1715-16, a meeting-house was built at Gloucester. In 1801, Friends removed from the old meeting-house on Newton Creek to the present location; the brick house was built upon land given by Joseph Kaighn. The old Newton Meetinghouse was burned in 1817. 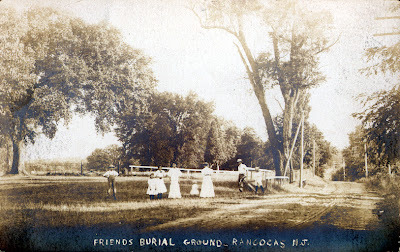 “At a General Meeting held at Salem in the Province of West Jersey, the 11th of Second Month, 1682, it was ordered that Friends at Arwamus and those' at Shackamaxon do meet together once a month; the first meeting to be at William Cooper’s at Pine Point, at Arwamus,” to which were joined the Friends settled on Woodbury and Cooper’s Creeks. The Monthly Meeting of Gloucester or Newton, was held alternately at Newton, and at the house of Thomas Shackle, (near Haddonfield) from 1695 to 1721. In that year Elizabeth (Haddon) Eastaugh, procured from her father John Haddon, (in England) a deed for one acre of ground for the use of Friends, on which the meeting-house was built in the early part of that year. It was of logs, and stood near the King’s Road. In 1732, John and Elizabeth Estaugh conveyed one and a-half acres of land adjoining the meeting-house lot to Friends. 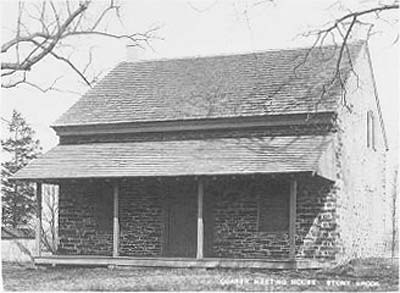 In 1760, a brick meeting-house was erected upon the same site, and the old log house removed across the “Ferry road,” and used as a stable. 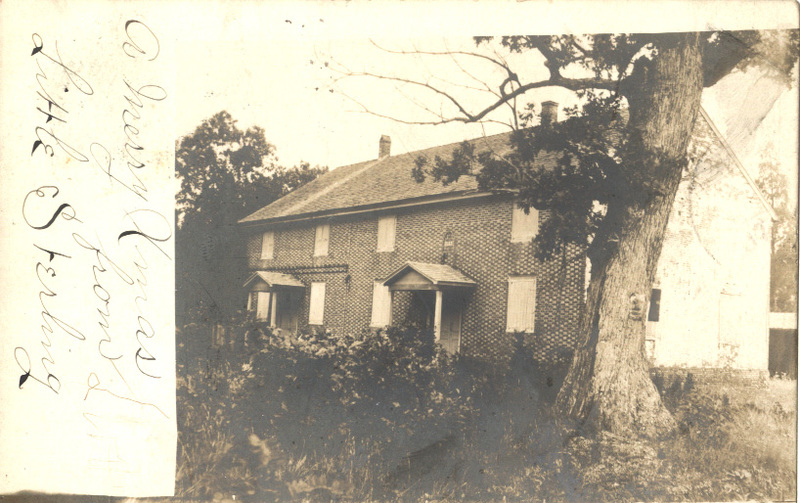 After nearly a century of service, that house was taken down, and the bricks used to enclose the burial ground. It was very inconveniently arranged, especially so for holding a large Quarterly Meeting. It had probably been built at two different times. 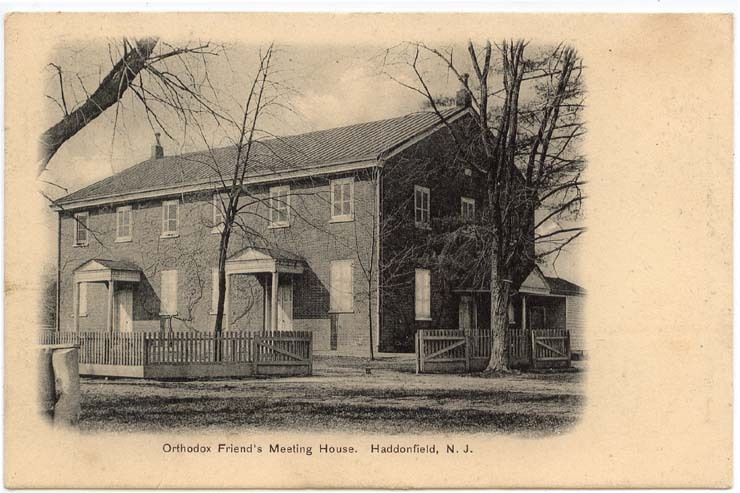 The present commodious meeting-house at Haddonfield was erected upon an adjoining lot, in 1851. 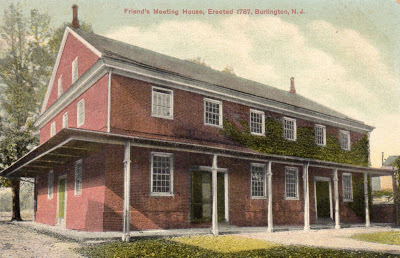 In 1685, a meeting was established with the consent of Burlington Friends, at the house of Timothy Hancock, at “Penisauken,” which was held on alternate First-days with one at the house of John Kay, on the north branch of Cooper’s Creek, for the accommodation of Friends at Penisauken and Evesham, and those on Cooper’s Creek. About the year 1700, the Meeting at Chester was established, and was called the Adams’ Meeting from its being located upon their land. The present substantial brick structure, on the south side of the street, was built in 1802. 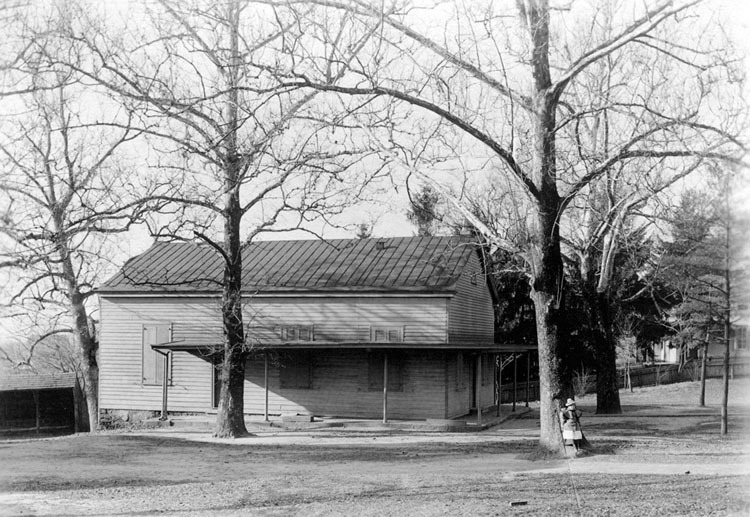 The frame building in the same yard, built in 1837, and enlarged in 1884. Chester Monthly Meeting was established with the consent of Haddonfield Quarterly Meeting, First Mo. 1st, 1804, composed of Chester and Westfield Preparative Meetings. This was an indulged meeting for some years, and held in a school-house from 1794 to 1801, at which time the large stone meeting-house was built, which was destroyed by fire in 1859, it has been succeeded by a substantial brick building. The frame building standing about half a mile south of the above, and occupied by our Friends, was built in 1848. The first account we have of meetings at Evesham, is of one held at the dwelling of William Evans, in 1694—his wife Elizabeth was a minister. A meeting-house was built in 1698, which was replaced by another, in 1760, of stone, this was enlarged in 1798, and formed the present venerable-looking structure, which stands as a monument to the liberality of Friends of that day. The Preparative and Monthly Meetings were established in 1760, as appears by the following minute: “Agreeable to ye direction of ye Quarterly Meeting held ye 3rd day of ye 9th month, 1760. Friends of Evesham and Chester held their meeting at Evesham on ye 9th of 10th month, 1760.” Evesham and Chester composed one Monthly Meeting until 1804. In the Third Month, 1793, the Monthly Meeting of Evesham proposed to the Quarterly Meeting held at Salem, that there be a division of that Monthly Meeting, viz: that Friends of Upper Evesham and Cropwell Particular Meetings become a Monthly Meeting, which was united with, and the Monthly Meeting of Upper Evesham organized First Mo. 1794. Upper Evesham was an indulged meeting from 1760 until 1774. 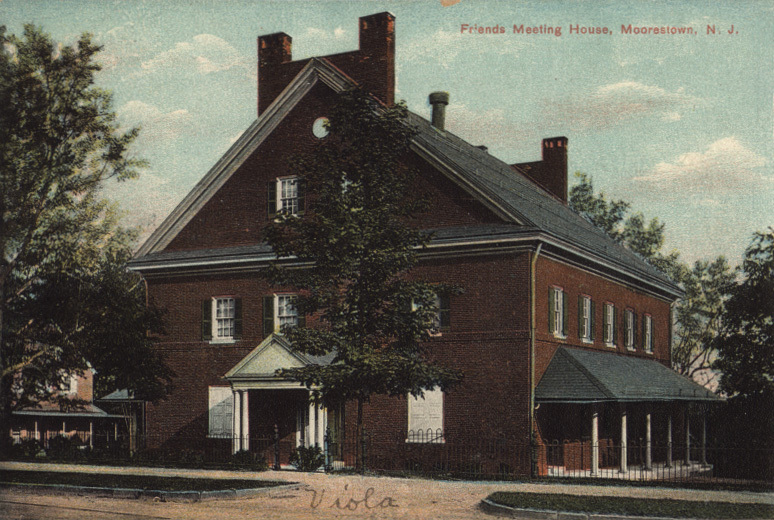 In 1775, the meeting place was enlarged, which was built in 1759. The present commodious brick structure was erected in 1814, to replace the small frame building above alluded to. The Preparative Meeting was established in 1783. 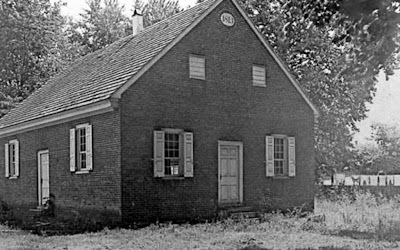 “A request by direction of the Preparative Meeting of Evesham in favor of holding a meeting for worship in a school-house lately erected near Cropwell Creek, was united with.” The present brick meeting-house was built in 1812. 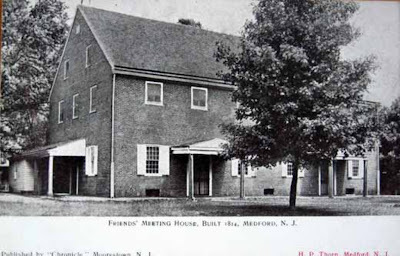 1803.—“Friends who live in the vicinity of Easton school-house request that two meetings a month be held at that place, which is allowed.” The Meeting was regularly established; and the Preparative Meeting organized in 1810, and the meeting-house built the same year. It is a branch of Evesham Monthly Meeting. “The first convincement of Friends about Great Egg Harbor was about 1702. Since which time Meetings have been settled and houses built.” Egg Harbor Monthly Meeting established. The first Yearly Meeting held at Egg Harbor was in 1754. 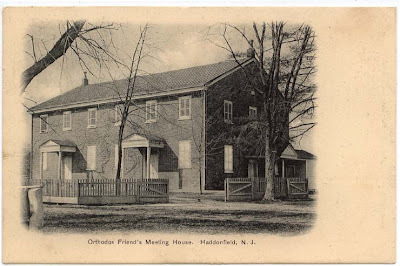 In 1794, Gloucester and Salem Quarterly Meeting proposed to the Yearly Meeting to constitute two Quarterly Meetings in their limits: one of Evesham and Haddonfield, Great Egg Harbor, and Cape May, called Haddonfield Quarterly Meeting; to be held at Haddonfield and Evesham alternately, which was approved, and meetings held accordingly from that time until 1831, when the meeting circulated more generally, and was held once a year at Haddonfield, Evesham, Upper Evesham, (Medford) and Chester, (Moorestown) as at present.